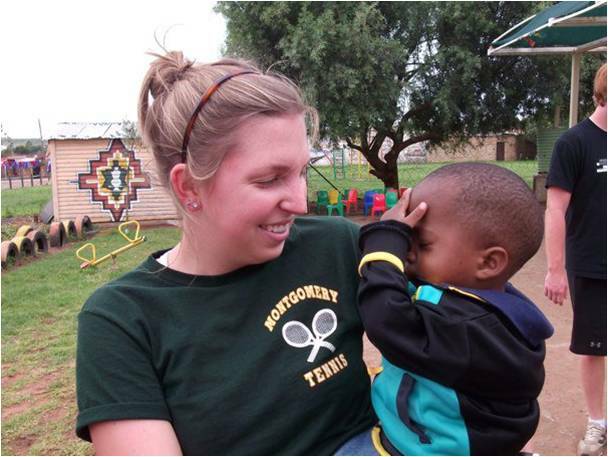 Spending my normally cold and dreary January riding in a safari jeep, volunteering with AIDS orphanages, and exploring the cities of South Africa has proven to be one of the biggest highlights of my college career- if not my life. As most students have already discovered, the Study Abroad program our university offers is an extraordinary opportunity to be taken advantage of at least once while attending the University of Delaware. The people you meet, and the sometimes shocking experiences that come along with them, can provide you with more knowledge than can simply be learned in the classroom. Besides coming back to Delaware with an awesome tan, over one thousand pictures, and some great stories, I brought back with me some very helpful and insightful experiences that I plan to use during my career search this next year. I’ve learned more about my level of independence, ability to quickly grasp new concepts, my comfort level interacting with locals, and how I assimilate to a vastly different culture than I could possibly imagine. I’ve come to realize these things about myself simply through post- trip reflection, but also by keeping a few key points in mind that I found helpful during my travels. Here are a few that I found most advantageous. Make sure to really absorb everything you see, taste, feel, learn, hear, and experience. Try not to limit yourself. Pushing yourself to try new things is the whole point of studying abroad, so just go for it, and stay in tune with your reactions. Interact with as many different people as possible- even the “laundry lady” and the “front desk guy.” Refining your social skills and developing ways to connect with people different from yourself is essential for making it through interviews, and interacting in a career setting. Proving your abilities in an interview may be easier by being able to reflect on situations like these that you experienced abroad. Keep a detailed, daily journal of these senses and reactions. Post- trip reflection is a critical component in terms of identifying exactly what you learned through your experiences within the culture. Sometimes subtle changes in your thinking can become more apparent upon reflection. This is the most important component, in terms of the career search: Interpre t your newly found personal reflections and experiences into examples (a situation where you took a leadership role while volunteering, realized the extent of your independence, etc.) that speak to your abilities. One of the hardest elements that college students face is trying to “diversify themselves from the pack”- and this is one way to do it. How many other students traveled to the exact same places as you, and interpreted what may seem as ‘minor experiences’ into a learning tool? Embrace your study abroad experience for all its worth, and also as a leveraging tool to help accomplish your ultimate career goals. If time and money allow, studying abroad can be one of the best experiences of your life, and can serve as a major marketing tool in terms of acing the interview, and to help pave the way to securing your dream job. Enjoying every aspect of your trip is the main goal, but by keeping a few tips in mind and taking a few notes along the way, you can really take full advantage of the experience. Caitlin Rogers is a Junior working towards her double Marketing/ Operations Major and International Business Minor at University of Delaware. As a Student Assistant at the UD Career Services Center, she provides feedback on student resumes and helps students work to achieve their career goals. Previous: Previous post: Your Career Adventure: Start Exploring Today!